'Parichayam', starring Virat Konduri and Simrat Kaur in leading roles, hit the screens today (Saturday). 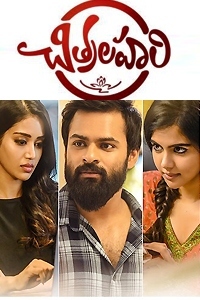 Here is our review of the romantic drama. Anand (debutant Virat Konduri) and Lakshmi (Simrat Kaur) have been friends since childhood. They are neighbours and their fathers, played by Rajeev Kanakala and Prithvi, respectively, are Indian Railways colleagues. While Lakshmi has strong feelings for Anand, the former's father routinely picks up arguments with the latter's father. This tension spills over into the relationship between the lead pair. Much against her father's wishes, Lakshmi not only loves Anand but also becomes mad about him. When her father discovers the affair, he does everything he can to separate the couple. But all of this results in a tragedy. The rest of the film is about how the hero handles the aftermath, whether Lakshmi has any hope, and how it all ends. 'Parichayam', directed by Lakshmikanth Chenna, falters right from the beginning. Probably because the director didn't know how to adapt the story he co-wrote with someone else, he commits a blunder by revealing the heroine's status (no spoiler here) right at the beginning. And then he goes about raising the profile of a noble muscleman (Sijju) under whom the hero works. This Sijju is elaborately shown teaching a lesson to an acid attacker. But the place of Sijju's character in the story doesn't warrant this kind of indulgence. After this, the director starts obsessing about the childhood story of the lead pair. Reminding us of 'Malli Raava' (in which too an overdose of childhood episodes was seen), 'Parichayam' presents the interludes of how Lakshmi and Anand developed a bond in their childhood years. They don't age, they don'g grow even after so many such interludes and one wonders if their legendary love blossomed in a matter of a week or so. When he watched the Tamil classic '16 Vayathinile', K Raghavendra Rao felt that the wait of the heroine for her man shouldn't have been open-ended. "Will he come back or not? Why leave the ending like that?" KRR asked himself. 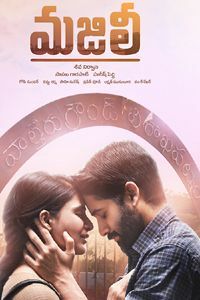 On similar lines, the director of 'Parichayam' might have thought that there should be no tragedy or uncertainty in the way the film ends - because we are Tollywood filmmakers, you know. So, the heroine falls out of a major problem almost easily and invariably glamorously (when she says she wants to eat Paav Baaji, it's time for a duet in the backdrop of some tourist location). The first half has a soul. The interval scene is a bang for the buck. Thanks to Simrat Kaur's excellent acting, the scene is touching. Prior to this, the love track is shown with largely engaging sensibilities. Lakshmi's face lights up every time she even hears Anand's name (once while she is consoling her friend over a death) and it's a treat to watch. Lakshmi and Anand behave as if they were born to be mesmerized in each other's presence. Once, Lakshmi even skips a puja and makes no bones about being serenaded by Anand. But the second half's proceedings rob the film of whatever soul the first half has. A pseudo anti-climax completes the artificiality. Simrat Kaur steals a march over debutant Virat Konduri, who needs to show a lot of improvement. Rajeev Kanakala comes across as someone who is jealous of Prithvi's screen space. 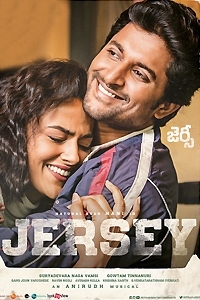 Sijju, Paruchuri Venkateshwara Rao, Rahul Ramakrishna, Sai, Koteshwara Rao, Padmaja Lanka and Parvathi are forgettable. Sekhar Chandra's music for 'Yemaindo Manasa' is soulful. Lyrics by Bhaskarabhatla and Srimani are profound. Prawin Pudi's editing, cinematography by Naresh Rana help. The film would have been soulful had the director dared to tell it realistically. Instead, he prefers to play to the gallery in the second half.